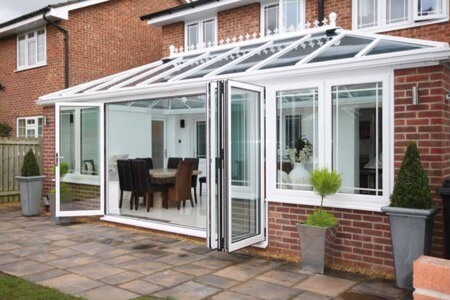 Are you looking for patio doors in Cramlington? Stormshield offers a variety of patio doors to suit every home. Read on to learn more about the doors we sell and install. During the winter months, with those darker mornings and evenings, your home can seem a little gloomy. You’ll want to maximise the effects of what little light comes through, not just to brighten your home, but to expose you to as much natural light as possible which, as we all know, has many health benefits. Patio doors are a great option for allowing more light in and brightening up your home. At Stormshield, we offer a wide range of patio doors in Cramlington and across the North East, in a range of different styles and finishes to please the eye. Whether your home is modern minimalist or rustic chic, from contemporary to classic, we’ve got the patio doors to suit you. French doors are a beautiful way of letting more light into your home. 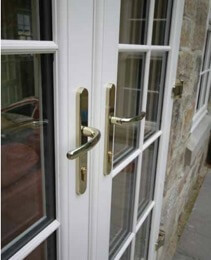 Elegant and efficient, they are also manufactured with a high standard of security. These can be customised with a range of beautiful finishes. Sliding patio doors look great and are high performing in terms of security and weather performance, making a fantastic addition to your home and enhancing the flow of natural light. Aluminium and PVCu bi-fold doors combine beauty with functionality, configured into several concertina style folds which can be pulled back easily. Our PVCu bi-fold doors are ‘A-rated’ for energy efficiency. We also offer a wide range of finishes to blend in perfectly with your home décor, matching your own unique style. Unlike most window and door companies, we source all our hardware range from the same supplier, ensuring you get the same quality finish every time. Below is a list of the finishes we offer. Each desirable finish is of a high quality, combining all the of high performance features you would expect from modern patio doors. We stock White, Cream, Golden Oak, Rosewood, Irish Oak, Black Ash, White Ash, and Grey. Our doors are high performance, and extremely energy efficient, helping you save money on your heating bills and reducing carbon emissions. Within our Definitive Collection, we offer triple glazing, improving thermal efficiency by up to 40%, making our range of doors some of the best patio doors in Cramlington and across the UK. We use Yale or ATK locks for our doors and windows, ensuring the highest quality when it comes to security, giving you greater peace of mind, as well as increasing the value of your home. As the weather warms up, you’ll see even more benefits to installing patio doors. They are perfect for if you’re holding barbeques, garden parties and keeping an eye on little ones as they play outside, allowing a seamless transition from indoors to outdoors when needed. 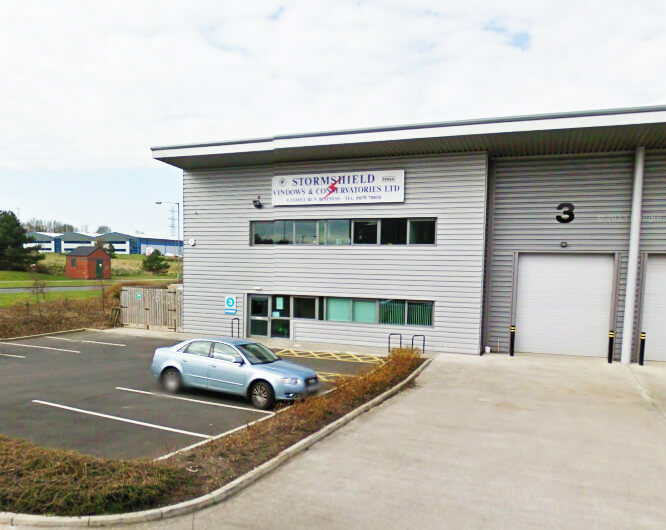 Stormshield boasts years of experience in fitting windows, doors, roofs and conservatories. All our doors and windows are fitted carefully by highly trained members of our team. Customers have repeatedly remarked on the professionalism and politeness of our fitters, as well as being delighted with their new doors. No wonder they return to us again and again! If you would like a quote on patio doors Cramlington, call us today on 01670 710050 or visit our showroom. One of our friendly, professional team will be happy to help you create the home of your dreams.